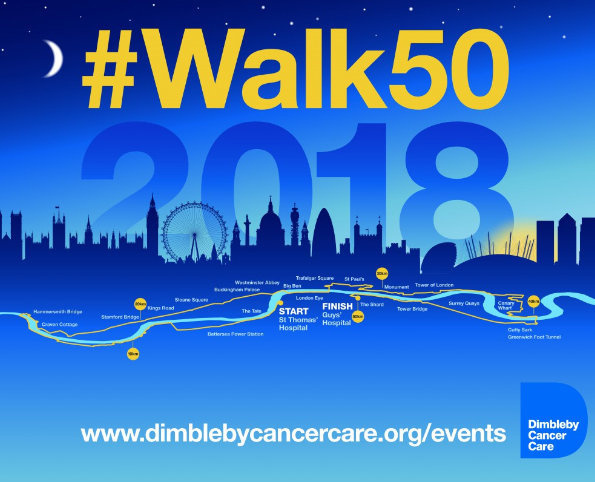 Garrett Whitelock have worked closely with Dimbleby Cancer Care over the last year and are keen to follow this on with #WALK50, an overnight 50KM walk around London, to raise both money and awareness for such a fantastic cause. Please help up reach our target for such a worthy cause and help DCC to continue to support those affected by cancer. Thank you in advance for your support, and wish us luck!